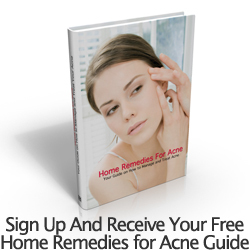 Acne is a skin condition commonly associated with puberty. However you would be surprised at the amount of individuals who have a problem with their skin that lasts long beyond adolescence. When the condition extends past this period of time it is particularly important to consider contributing factors other than hormones and hereditary as the cause. Although it is commonly thought that acne comes about as a result of oily skin or perhaps problems with hormones, it may actually be a result of our body trying to tell us that something else is wrong. Instead of being a disease, consider the possibility that your breakouts might actually be a symptom of a disease or internal problem that you are unaware of. In order to get rid of the acne, it may be necessary for us to bring our body back into balance and to cure it from the inside. This can be done by means of supplementation, the following are 2 different supplements that you should be taking if you have a problem with acne. Vitamin C is a water soluble vitamin meaning that it is not stored in the body, so if you are not consuming foods that are high in vitamin C then you should consider taking a supplement. It is one of the strongest antioxidants that occurs naturally and will help to remove the free radicals from your body that are damaging the cells. It is also involved in the production of collagen which is needed to avoid scarring caused by breakouts. This is one vitamin that can make a real difference for the skin after supplementing their diet even for just a short time. Another supplement you should have on a regular basis is green tea. This excellent substance has been used in Asia for thousands of years for its healing properties. It is also a very strong antioxidant that has the ability to clean our body on the inside, detoxing is an important aspect of all acne management plans, which will go a long way to cleaning up the skin on the outside. Green tea really is a great supplement for this reason. You can either take this in the form of a pill or drink tea throughout the day. Along with these supplements, you should make sure that you are eating a balanced diet, to ensure you gain all the nutrients essential for healthy skin. Don’t forget to drink plenty of water. All of these will be helpful in bringing your body back into the balance where it can get rid of the acne naturally. Jennifer M. Gillies BHSc, Dip Nut, specialises in dietary advice, skin conditions and is a regular contributor. Follow her regular advice on acne, and other suggestions about treatments.